How to Cook Corn on the Cob, How long to Cook Corn, How do you Cook Corn on the Cob? Fresh sweet corn is one of the glories of a Southern summer, yet like many very simple foods, it can go wrong in a lot of ways. It’s super simple though, especially if you keep a few things in mind. I have heard folks from my grandparents generation say that you should start the water boiling for your corn before you head out into the field to pick it. That simply means that you want the absolute freshest corn you can get your hands on. The sugars in fresh corn on the cob begin to disintegrate almost immediately, so in order to get that incredible fresh corn flavor, you really do want to have it as close to the stalk as you can. Farmer’s markets are the best place to find the really fresh stuff, if you aren’t lucky enough to have it growing in your own front yard. 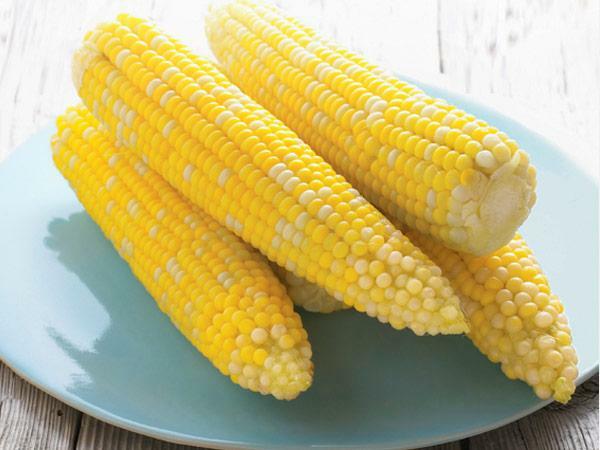 corn flavor you are after. If the starches have started developing, add a minute or two. If you aren’t sure, pull out one cob, taste a kernel and decide if you need to give it a bit more time. At the peak of the season it will only need about 5 minutes, and at the end no more than 10 minutes. Just don’t over cook it and boil out all the flavor. That’s it – see how easy it is?